Often referred to as liquidation or straight bankruptcy, Chapter 7 bankruptcy is the most common type of bankruptcy. 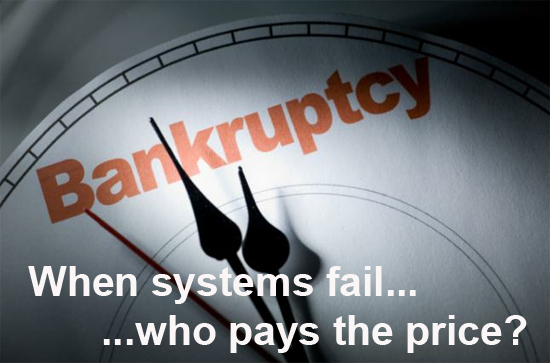 Chapter 7 bankruptcy usually takes three to four months to process. Our office seeks to help those who need to get back on the right track financially. To begin the process, a petition must be filed with the court. Once this is filed, an automatic stay is issued and the debtor’s property is transferred to an estate. In many cases, this stay provides protection until the debts are discharged or the case is resolved. After a petition is filed, the United States Trustee Office appoints a trustee, typically a local attorney, to manage and oversee the estate. It is the job of the trustee to sell the property of the estate, collecting as much money as possible for creditors. There are certain limitations on property that is transferred to the estate. These are specified within the bankruptcy code, and a debtor may also exempt property from the estate. While a majority of Chapter 7 cases are “no asset” cases, it’s important to discuss your case specifically with your attorney. The appointed trustee will conduct a meeting with creditors between 20 and 40 days after the petition is filed. During the meeting, any issues with the case will be identified and resolved. The person who filed the petition must attend the meeting and must provide the appropriate identification documents such as a Social Security card. In addition to these documents, the petitioner should have presented the trustee with financial documents such as tax returns, bank statements, deeds and titles to property. Once the meeting has closed, creditors have 60 days to object to the bankruptcy or a discharge will be obtained and the debts will be forgiven. Obtaining a discharge means that a court order is granted that alerts creditors that you have been forgiven from your debts. However, there are certain debts that are exempt from discharge. These debts include personal income taxes within the past three years, child support, criminal restitution and student loans. Student loans can be forgiven if you can provide proof of undue hardship. If your family needs help, please contact our office to set an appointment to see if we can help you to obtain a Chapter 7 bankruptcy.